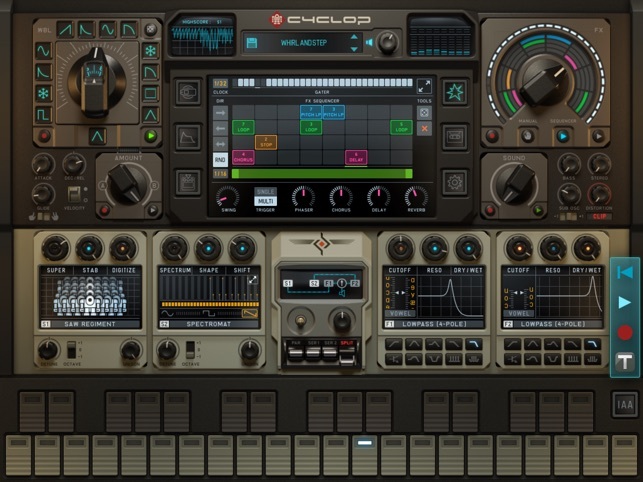 Cyclop now available on the iPad – ready to unleash monstrous bass sounds to the mobile world. 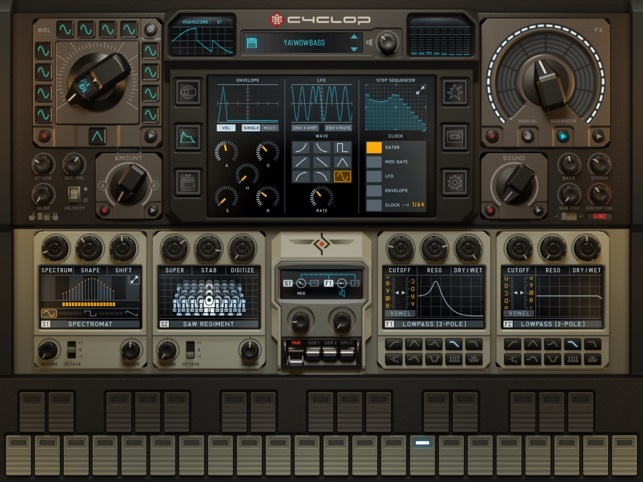 Cyclop is a monophonic synthesizer. It does one thing very well: delivering cutting-edge digital madness at the low end of the frequency spectrum. Go wild running multiple instances, record parameter changes in real time and automatically save/restore Cyclop's state within the host app. Through iCloud, you'll be able to share your saved presets across multiple devices including your desktop computer. Cyclop is a pretty awesome mono bass synth. This synth is designed to work particularly well with wobble bass I find it is capable of much, much more. I find the sounds dirty and gritty (which is what i was looking for). I am pretty sure you could get some cleaner tones out of this bad boy but why would you want to? 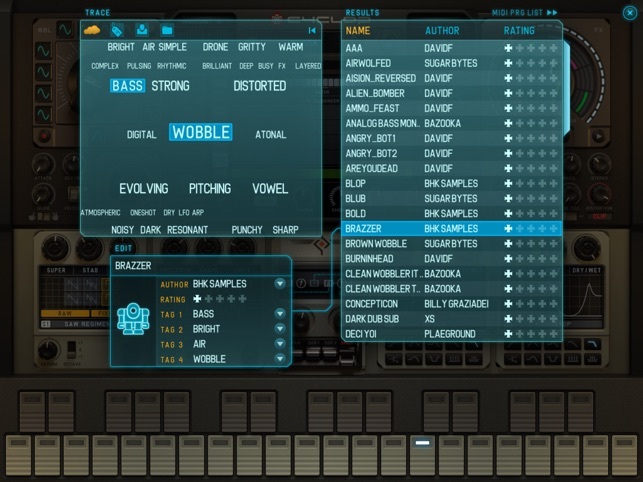 It comes with a lot of presets that are categorized into the appropriate categories. 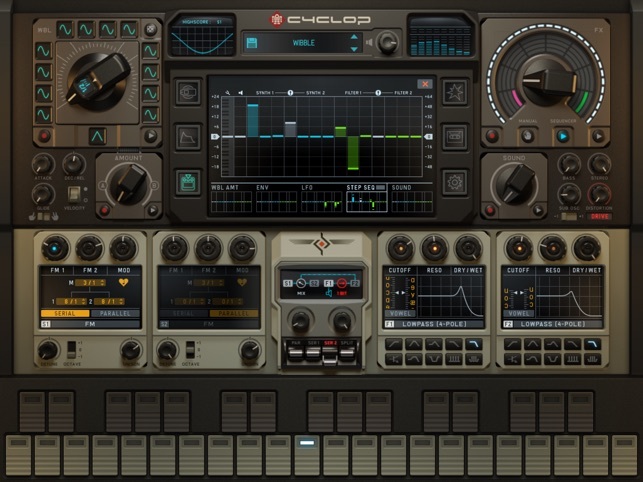 I have a feeling I will be using this synth long after the wobble bass trend has passed simply because it has some killer bass tones that I think will stand the test of time. Just happened to pass by this in the app store, purchased reduced, would have paid full, especially when I found it as good as the desktop version. Seems to run well on mini 2, haven't tried it on Air 2 yet. 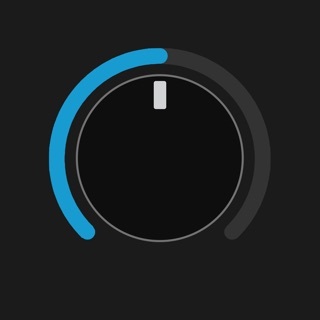 Also haven't tried it with Auria Pro. Stand-alone mode rocks! Someone in the business tells me Cyclop was one of David Bowie's fav apps. It's just super cool app! 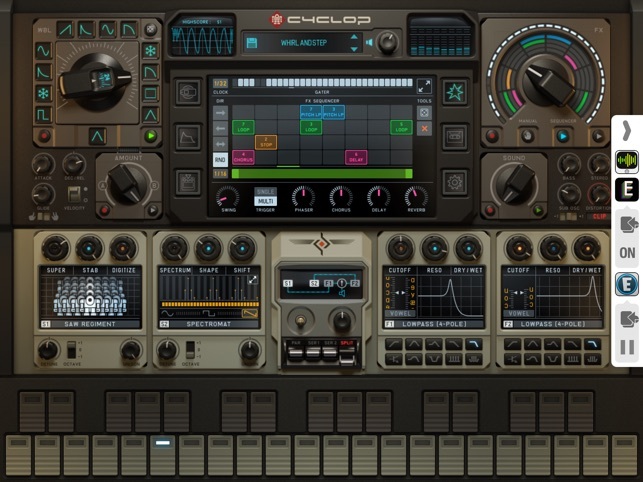 I especially love electronic music and create it myself, and now i can do it on my iPad. In short, I am very glad I stumbled upon this app. I immediately see that the developers have tried and did a really quality stuff. Sounding even better than the desktop app. Thank you!